Omaha's Iconic Heartland of America Park in Downtown Omaha. 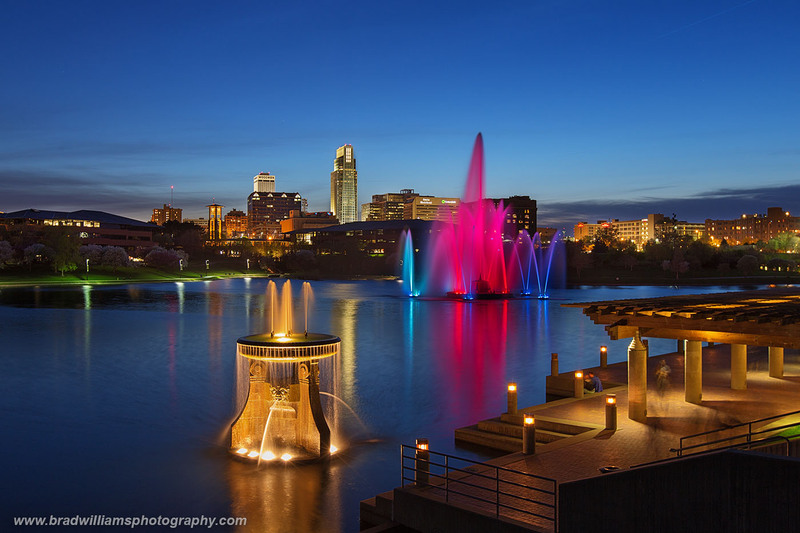 These fountains area a great foreground for the Omaha Skyline. Photo © copyright by Brad Williams.